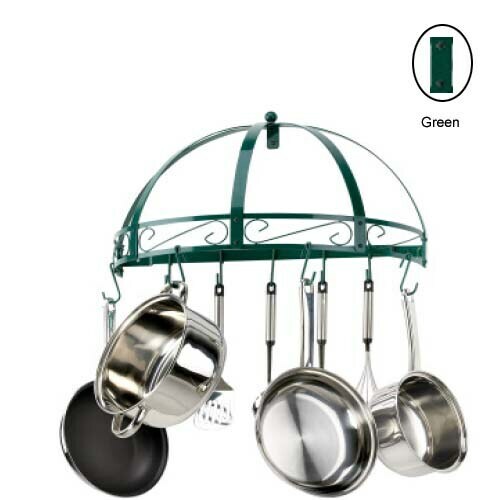 Kinetic Classicor Wrought Iron Semi-Circle Wall Mount Pot Rack-Green. Dimensions (in inches): 26. 25 x 14 x 3. 5. Includes: 12 hooks, 4 eye hooks, 4 end hooks, 4- 22 inch chains Green enamel and chrome grid storage shelf.